UNDERLYING CRIME NOW PROVEN. The Justice Department announced the indictment Friday of a notorious Russian troll farm — naming more than a dozen individual suspects who allegedly worked there — as part of the special counsel’s investigation into criminal interference with the 2016 election. 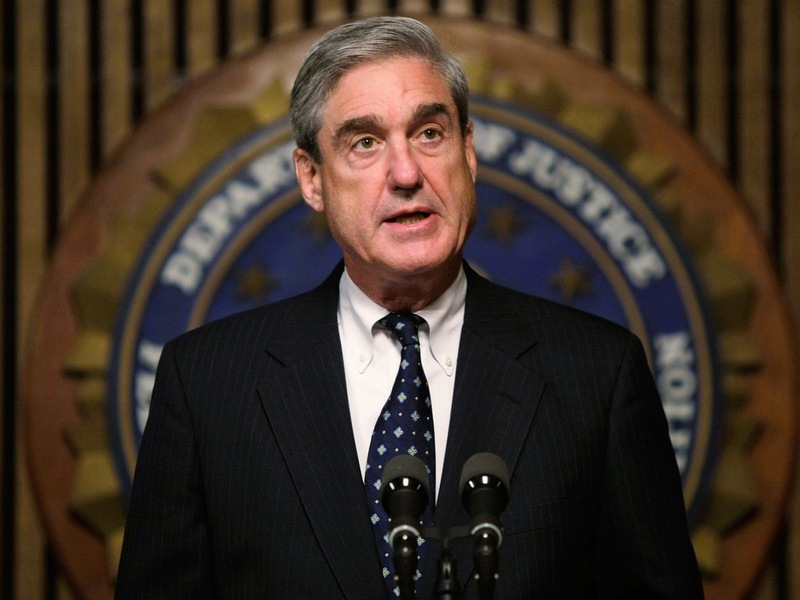 Also, “Special counsel Robert Mueller’s office has told a federal judge it has found evidence that Paul Manafort, the former Trump campaign chairman, committed bank fraud not addressed by the indictment last October in which he was charged with money laundering and failure to register as a foreign agent,” Politico reports. “White House Chief of Staff John Kelly announced that beginning next week, the White House will no longer allow some employees with interim security clearances access to top-secret information — a move that could threaten the standing of Jared Kushner, President Trump’s son-in-law,” the Washington Post reports. Vivieca Wright Simpson, the third most senior official at the Department of Veterans Affairs, “is stepping down amid findings she misled ethics officials to secure approval for VA Secretary David Shulkin’s wife to accompany him on taxpayer-funded trip to Europe,” USA Today reports. A new Greeenberg Quinlin Rosner survey shows that Americans believe Russia meddled in the 2016 election, is concerned about it, and is prepared to support Trump’s impeachment if the investigation produces evidence of illegality. The survey also shows that, if there is evidence of crimes, members of Congress who attacked the Mueller inquiry could pay a high price in the midterm elections. Martin Longman offers his thoughts on whether Trump committed treason or not. If you read some of the messaging coming from these Russian outfits in the indictment, you’ll recognize some of it because it was pushed along by your Bernie or Jill supporting friends. So some Russians criticized Hillary Clinton and Ted Cruz. How is that illegal? It wasn’t criticism. It was disinformation. And you were part of pushing some of this stuff, too. The Russians are coming, and they’re going to get on facebook with a fake name, and convince us all to vote Republican. Oh, no! Are the American people that stupid? The people pushing this narrative would have you believe that we are. If Hillary had won, nobody would ever have heard a peep about the Russians. If HRC was President you would have heard of the Russians — because the entire project is ongoing. Both Twitter and FB are working at counteracting the bot farms that unleash disinformation by pretending to look like real people. But like the Sanders’ social media guy demonstrates, you can see them if you know what you look for. What you wouldn’t have heard was an discussion about an American President actually working with the Russians to win an election. You linked to a Scientology front group? But let’s say you’re correct. Women use antidepressants. Where are the women mass shooters? Tariff Trade War Time for Trump and America? Notice all the big business types in his cabinet are begging him not to do it, history suggests they are right. Would also make a good way to tank the stock market and upset the apple cart of the economy. As for guns and gun laws it will not happen, just like Columbine, just like Sandy Hook and that goes for the next ten school shootings as well. But how about those Russians trolls! Hard not to notice they start and stop at the same time and take the same days off, struggle with English and frequently change their name and avatar as Facebook either can’t or won’t stop it.